The Seneca Falls Convention is typically seen as the beginning of the first women's rights movement in the United States. Revolutionary Backlash argues otherwise. According to Rosemarie Zagarri, the debate over women's rights began not in the decades prior to 1848 but during the American Revolution itself. 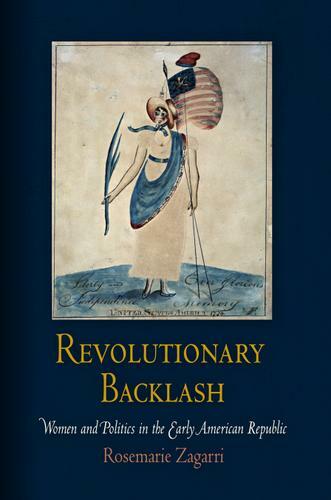 Integrating the approaches of women's historians and political historians, this book explores changes in women's status that occurred from the time of the American Revolution until the election of Andrew Jackson. Although the period after the Revolution produced no collective movement for women's rights, women built on precedents established during the Revolution and gained an informal foothold in party politics and male electoral activities. Federalists and Jeffersonians vied for women's allegiance and sought their support in times of national crisis. Women, in turn, attended rallies, organized political activities, and voiced their opinions on the issues of the day. After the publication of Mary Wollstonecraft's A Vindication of the Rights of Woman, a widespread debate about the nature of women's rights ensued. The state of New Jersey attempted a bold experiment: for a brief time, women there voted on the same terms as men. Yet as Rosemarie Zagarri argues in Revolutionary Backlash, this opening for women soon closed. By 1828, women's politicization was seen more as a liability than as a strength, contributing to a divisive political climate that repeatedly brought the country to the brink of civil war. The increasing sophistication of party organizations and triumph of universal suffrage for white males marginalized those who could not vote, especially women. Yet all was not lost. Women had already begun to participate in charitable movements, benevolent societies, and social reform organizations. Through these organizations, women found another way to practice politics.